A really fun and easy game. 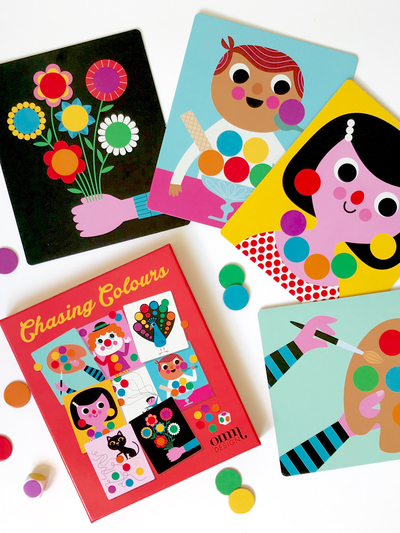 Throw the dice and match the round cards with the colours in the beautiful images with illustations by Ingela P Arrhenius. Size: 19,5 x 23 x 4 cm.